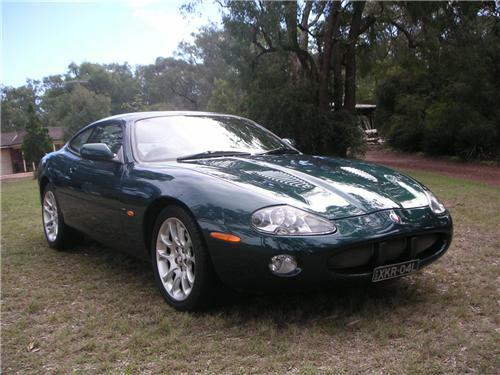 Rarley does an opportunity to own at an affordable price such an amazing car like this supercharged, yet economical 2002 Beautiful Green XKR Jaguar Coupe comes along. This truly luxurious, unique and outstanding vehicle is in excellent condition inside and out. The car is Australian Delivered & Complianced with 77,000 kms on the speedo. It drives superbly as a normal everday car or if want some excitement then when you put your right foot down get ready for a ride of your life. This is the difference between a Supercharged vehicle compared with the lag that Turbo cars develop. Inside the car has sumptuous Oatmeal leather and Burr Walnut wood grain combination which is in excellent condition. 5 speed Automatic with sports mode. Vehicle drives like new & is excellent mechanically. Air conditioning is working extremley well. Great looking vehicle & certainly looks much more value than the price I am asking, was over $220,000.00 new. All the usual Jaguar features that you would expect such as Power steering, Remote Central Locking, Climate control Air Conditioning, Power windows, 12 way electric seats with memory, Alpine 6 x CD stacker plus much more. The car has been meticulously maintained, always garaged and drives like a new. The 4.0 Litre V8 engine performance is quite staggering fuel effecient for a car of this type. This vehicle cost approximately $220,000 AUD new and therefore represents unbelievable value for money at this price. Basically speaking...You get a lot of car for this price. 1st to see and test drive this Green Beauty will buy. If you need any further details or want to make an appointment to inspect please contact me. Be sure to view our other items for sale!